David A. Grattafiori has lived in Plano, Texas for over 35 years. He received his diploma from Plano Senior High School. Dr. Grattafiori went to college at Texas Tech University in Lubbock, Texas. Upon completion of his studies at Tech, he went on to pursue a degree in dentistry. 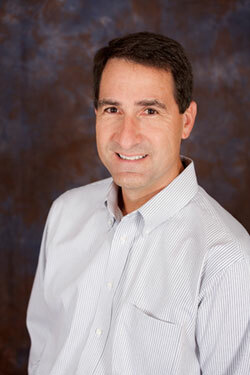 In 1984, Dr. Grattafiori received his dental degree from University of Texas Health Science Center at San Antonio. He is a current member of the American Dental Association (ADA) and the Dallas County Dental Society. Dr. Grattafiori has been married to his wife Caroline Grattafiori for 25 years. He is the father of two sons, Drew and Alex. He is a member of St. Mark’s Church in Plano. Dr. Grattafiori enjoys spending time with family, going to the lake, reading, attending his sons’ baseball games, and playing golf. Dr. Grattafiori is committed to serving patients with affordable quality dental care. He is skilled in the most current dental procedures and techniques. Dr. Grattafiori and his staff complete their continuing education each year by attending the Southwest Dental convention (Dallas, Texas) and the Texas Meeting (San Antonio, Texas). The continuing education and lectures are taught by some of the most respected clinicians in the country.